You’ve got your Raspberry Pi all set up. It’s plugged into the monitor, the power cable is connected correctly, and you’ve already flashed Raspbian How to Install an Operating System on a Raspberry Pi How to Install an Operating System on a Raspberry Pi Here's how to install an OS on your Raspberry Pi and how to clone your perfect setup for quick disaster recovery. 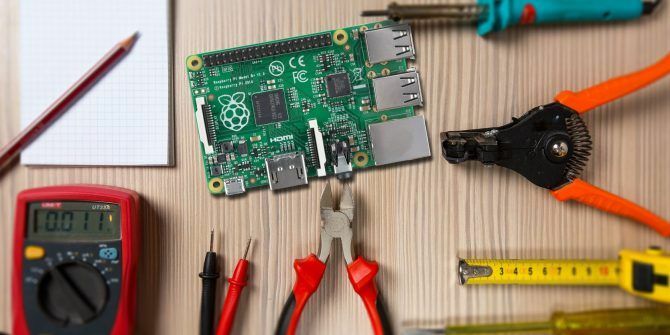 Read More (or another operating system 11 Operating Systems You Can Run on Raspberry Pi 11 Operating Systems You Can Run on Raspberry Pi The Raspberry Pi's hardware is only one side of the coin. Here are some different Raspberry Pi operating systems you can install. Read More ) to the microSD card. But something is wrong. Perhaps the Pi has stalled booting at the “rainbow screen”. Perhaps it’s caught in a boot loop. Or maybe your issue is different. 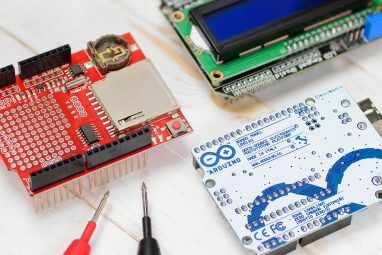 If you’re trying to solve problems with your Raspberry Pi’s ability to connect to Wi-Fi, detecting a USB device, installing software, or accessing a microSD card, we’ve got a collection of solutions right here. When you boot your Raspberry Pi, the first thing you’ll see (unless you’re prepping an installation with NOOBS How NOOBS For Raspberry Pi Can Help First Time Users How NOOBS For Raspberry Pi Can Help First Time Users There is something about the Raspberry Pi that might just put people off: until now, setting it up has not been particularly user friendly. NOOBS aims to change that! Read More ) is the GPU test screen. This is commonly known as the “rainbow screen” and is intended to appear for just a couple of seconds. After this, the operating system should load. However, sometimes this doesn’t happen. Instead, the device will hang at the GPU test. If this occurs, you have a problem. In most cases, this is due to a problem with the Raspbian kernel image on your microSD card. To test, install Raspbian onto another microSD card, and boot from this instead. If it works, then you know the problem is with the original microSD card. However, it’s not ideal. Additionally, you may have data you need from the original microSD card. In order to retrieve this data, insert the microSD card into your computer’s card reader. Browse to the /home/ folder, then copy it to your PC’s hard disk drive. Can You Repair the Kernel? In certain circumstances it is possible to repair the kernel, but this requires the Pi to be connected via Ethernet to your network. 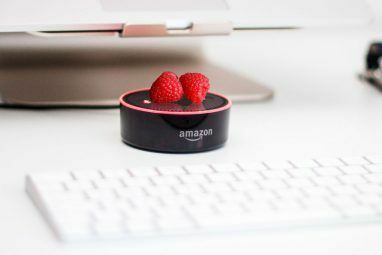 You’ll need to connect via SSH Setting Up Your Raspberry Pi For Headless Use With SSH Setting Up Your Raspberry Pi For Headless Use With SSH The Raspberry Pi can accept SSH commands when connected to a local network (either by Ethernet or Wi-Fi), enabling you to easily set it up. The benefits of SSH go beyond upsetting the daily screening... Read More , so ensure beforehand that this has been enabled. If not, while you have the microSD card plugged into your computer, add a file to the /boot/ directory called ssh. Do not add a file extension. This boot delay forces the Pi to give the SD card some time to get ready, before booting from it. Hit Ctrl + X to exit, then Y and Enter to save the change and exit the text editor. Use the reboot command to restart the Pi. If it hangs at the GPU test again, it’s time to use a different microSD card. If you’re concerned about your Pi’s microSD card, it’s worth looking into ways to extend its life How To Extend The Life Of Your Raspberry Pi's SD Card How To Extend The Life Of Your Raspberry Pi's SD Card SD cards have a finite life, with limits on how often data can be rewritten before the card gives in to entropy. For the Rapsberry Pi this can be a serious problem. Read More . You can do this either by ensuring more data is written to RAM (rather than the microSD card) or bypass it completely with a USB device How to Make Raspberry Pi 3 Boot From USB How to Make Raspberry Pi 3 Boot From USB The Raspberry Pi is a versatile piece of kit, capable of a diverse range of tasks. But it has one glaring flaw: the inability to boot from USB. Until now, that is. Read More . It’s also possible to clone your microSD card Easily Clone Your SD Card For Trouble-free Raspberry Pi Computing Easily Clone Your SD Card For Trouble-free Raspberry Pi Computing Whether you have one SD card or several, one thing that you will need is the ability to back up your cards to avoid the problems that occur when your Raspberry Pi fails to boot. Read More for data continuity across multiple cards or devices. USB devices are all important to using a Raspberry Pi. Whether you want to connect an input device (mouse, keyboard, game controller) or extend the computer’s functions, many options are via USB. Using an older Pi without integrated wireless networking or Bluetooth? You’ll need a USB dongle. Often, plugging a device in will let you use it almost straightaway. But what if your USB device isn’t recognised? The first thing to do is to head to the Verified Peripherals list at eLinux.org. Search the page for your USB device; if it’s here, it should work. A fault with the USB device or the Pi’s USB bus. Your Raspberry Pi isn’t receiving enough power. At this stage, you should have a working device. If not, contact the manufacturer and find out if there is a Linux driver. If you’re using a Raspberry Pi 3 or a Pi Zero W or later, then your computer has built-in Wi-Fi. You can also give wireless connectivity to an older Pi using a Wi-Fi dongle. But once you’ve activated wireless networking, how do you get online? USB sticks can be a problem, as noted above. But if you’ve run those tips above, and confirmed the device is working, perhaps the problem getting online lies with configuration. We’ll assume at this stage you’ve attempted to connect to the wireless network via the desktop. So, what might stop you from connecting your Raspberry Pi to a wireless network? First, there’s the possibility that new connections are blocked, or a limit has been reached. Once you can rule these out, try connecting to a different network. You might set up a wireless hotspot on your phone, for example, and see if connection to that is possible. Here, you’ll find the key settings for connecting to your network. Use the SSID and PSK fields to input the correct SSID (network name) and password. Alternatively, check the security on your network. 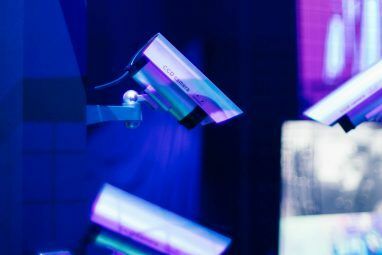 The Raspberry Pi 3 will not connect to wireless networks that are secured using the outdated Wireless Encryption Protocol (WEP). If your router uses this, switch to WPA, WPA2, or if this isn’t possible, upgrade to a new router. Several problems can affect your Raspberry Pi’s display. While the default resolution is 800×400 pixels, most modern monitors and TVs are capable of far bigger resolutions. What should happen is that the size of the display is detected as the Pi boots, and the desktop resolution adjusts as appropriate. If you run into problems at any point, simply delete the config.txt file and rename the copy. Remove the hash symbol; this will “uncomment” the setting, meaning it will be applied. Press Ctrl + X then Y to save and exit, and reboot your Pi. Negative numbers can be used if necessary. As a final option, you can change the framebuffer settings. Scroll down until you find two lines (framebuffer_width and framebuffer_height) and set your preferred resolution. You might change a 1920×1080 resolution to 1280×720, for instance. Easily Fix Your Raspberry Pi Issues! From time to time, you’ll hit a problem with your Raspberry Pi. Improving your Pi’s performance Slow Raspberry Pi? 11 Tips for Better Speed and Performance Slow Raspberry Pi? 11 Tips for Better Speed and Performance If you have a slow Raspberry Pi, here are some tips and tricks for better Raspberry Pi performance. They really work! Read More can help here, as can ensuring all of your cables, power supply, and microSD card are top quality. Trouble with your Raspberry Pi? Solutions listed here not working? Leave your issue below and we’ll see if we can fix it!